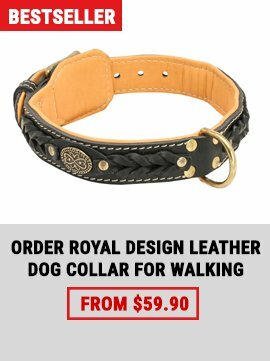 Every dog is unique. 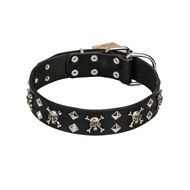 Some are aggressive, some are caring, but some are disobedient. 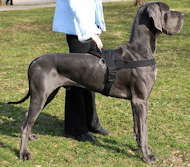 No matter what character your Great Dane have, you will not probably do without a short leash. 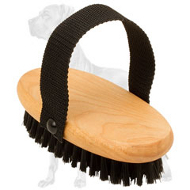 It is quite a useful assistant tool that considerably facilitates any activity the pet takes part in. 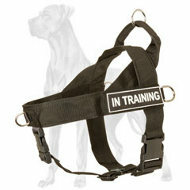 Training becomes more effective and life appears to be less troublesome with this leash! 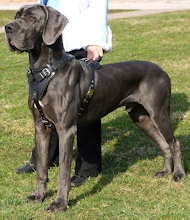 Moreover, a medium or large dog breed can be engaged in patrolling if using the gear. 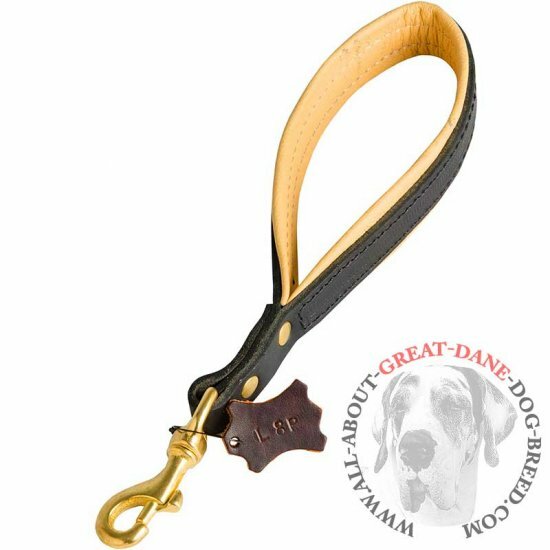 If your doggie doesn’t follow your instructions, this leash will help you to be in better control of an active and strong Great Dane. 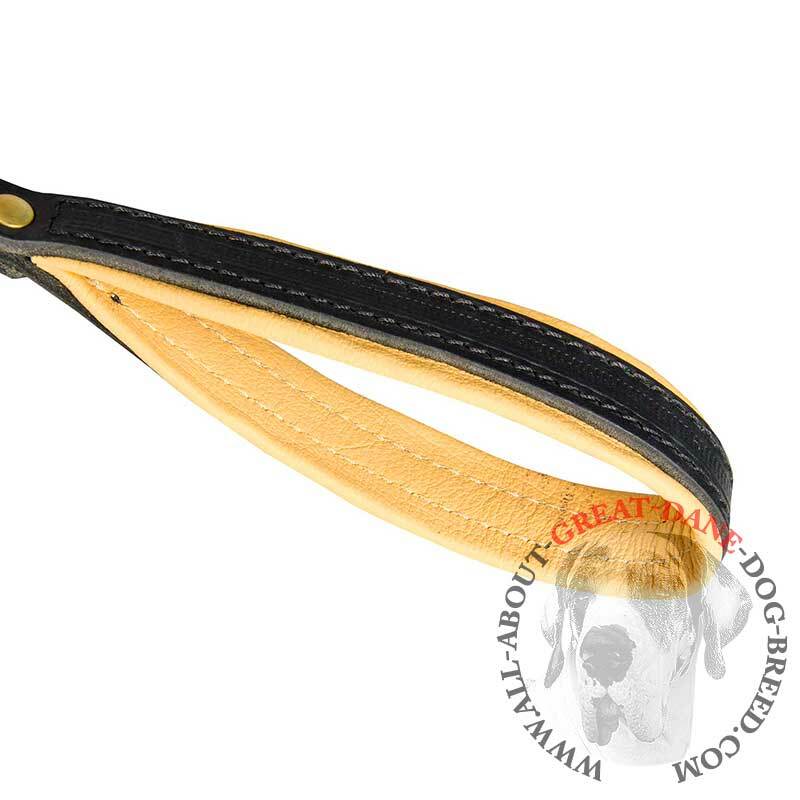 It is designed for the dogs that need to be kept close by their owners’ side. 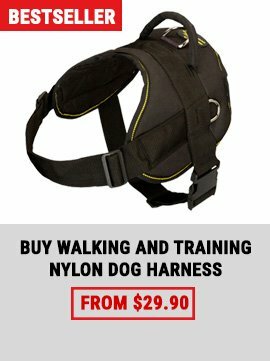 Be sure that this equipment will meet expectations of even a meticulous pet handler. 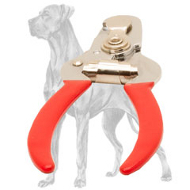 Close control over your Great Dane is guaranteed with the help of this tool. Regardless of the circumstances you'll be more than pleased and nicely surprised with this supply! 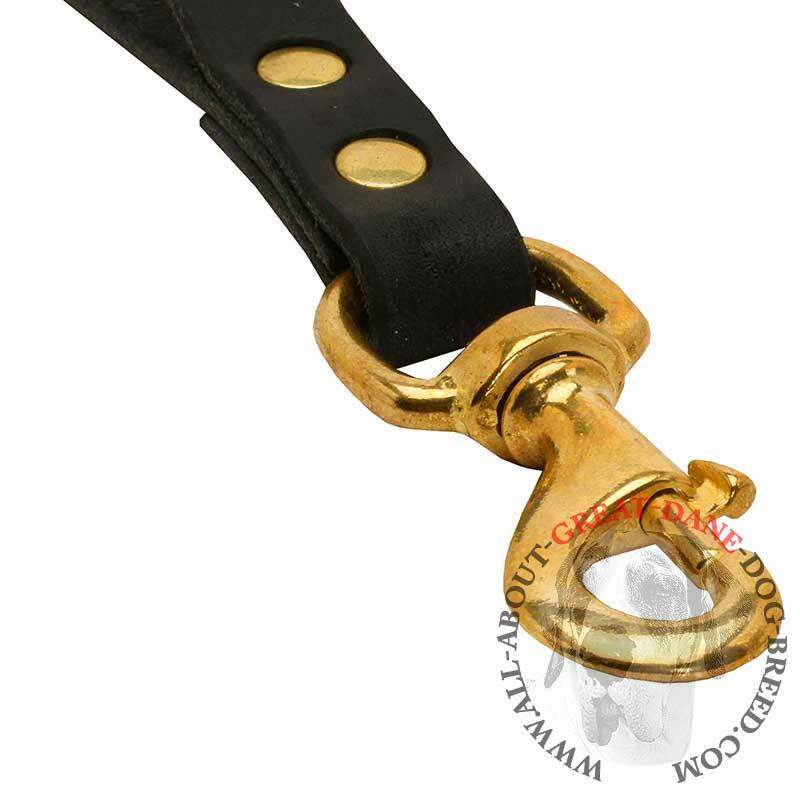 It is equipped with a brass-covered snap hook. 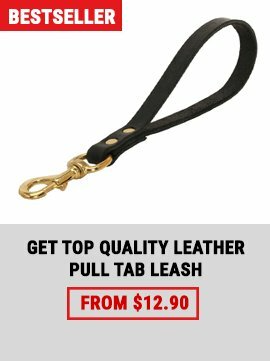 You can clip this item to a collar of your dog in no time. The hook can hardly be broken. 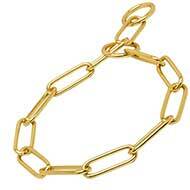 It is duly riveted not to be pulled out. 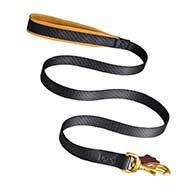 You can choose this option in drop down box whether to have this leash with padded handle or not.